Home → Bullion Dealers → Bullion Dealers UK List → The Pure Asset Co. 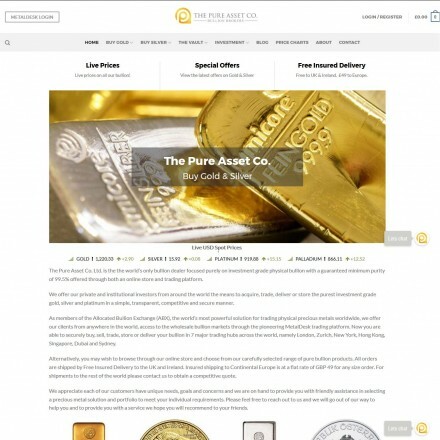 The Pure Asset Co. Ltd. is the the world’s only bullion dealer focused purely on investment grade physical bullion of a minimum purity of 99.5% in the case of gold and 99.9% in the case of silver offered through both an online store and trading platform. Established in 2016, we serve our private investors, family offices and corporate clients around the world, from our head office in Belfast. 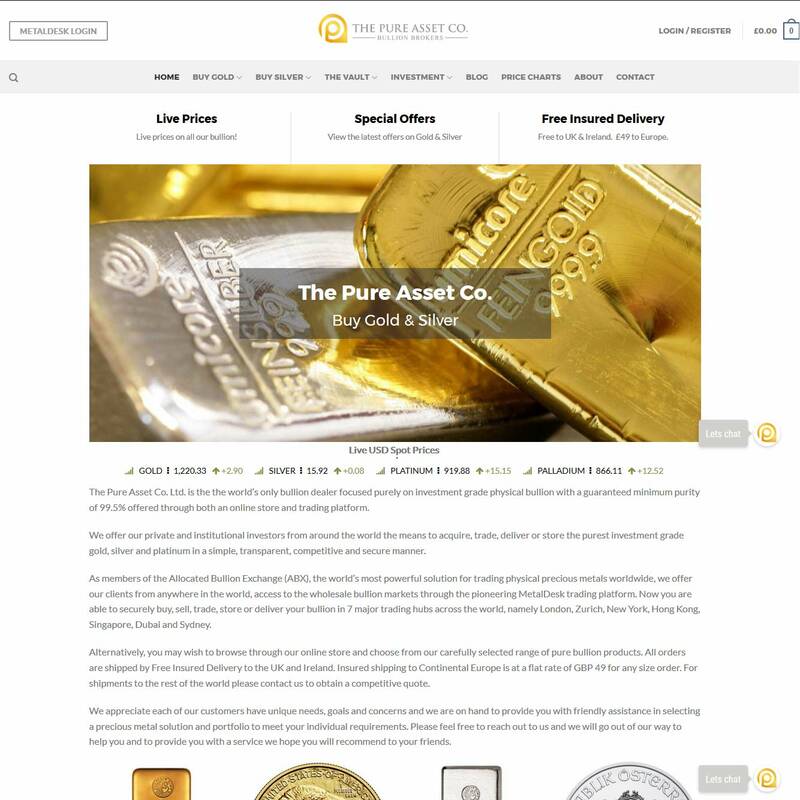 The Pure Asset Co. are a new national / international bullion dealer based in Northern Ireland offering both deliverable retail sales through a traditional e-commerce platform and online bullion trading through the Metaldesk / ABX platform. Although the retail selection could be considered limited by some, it contains the absolute essentials for any serious investor – gold 1oz 10oz and kilo bars at ultra-low premiums. After all who really needs gimmicks in gold? When doing business with The Pure Asset Co. - please say you saw them in Bullion.Directory. Read or add The Pure Asset Co. reviews and ratings using the "reviews" tab above. All The Pure Asset Co. details are believed to be correct at the time of listing. Please report errors here.